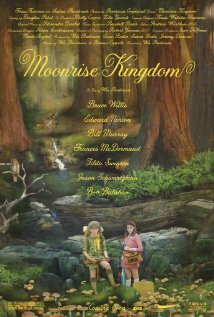 Wes Anderson’s new film (co-written by Roman Coppola) is a wonderful exploration the trials and tribulations of growing up. In his films, Anderson always focuses on people who don’t fit in society well. This time he centers his attention on two kids (a 12-year-old boy and girl) who not only have trouble fitting in, but we are told that they also have real psychological problems. But that is not how they come across at all. I know plenty of psychologically challenged kids and adults, but they don’t act nothing like the two in Anderson’s film. So the movie is a fantasy but it is one that you will enjoy falling into. There are many films about Christmas time and families coming together for a few days. 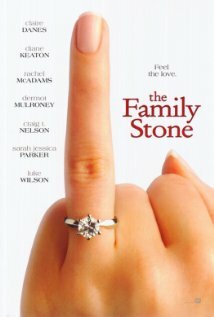 This film is special in that it captures very well the rhythms of these family reunions. Most families find it difficult to keep any tensions that might exist under raps. The days move slowly, punctuated by rituals of eating, chatting, playing, waiting, and sometimes arguing. Everett (Dermot Mulroney) one of the five children coming home to the parents suburban home for Xmas is brining his new girlfriend Meredith (Sarah Jessica Parker). Even before her arrival, one family members labels Meredith as uptight and unlikable. Soon the entire family seems to be against her and when they find out that Everett wants to propose the next day, all but one person wants to torpedo that plan. This sets the stage for interesting drama with twists and turns. The Alps are a natural spectacle. Many directors, of course, have realized this. The Sound of Music, for example, was filmed in and around Salzburg. 50 Kilometers south of Salzburg lies the fortress “Werfen.” Where Eagles Dare exploits the dramatic scenery of the fortress and its vicinity to stage a James Bond like spy story set during World War II. Germans have infiltrated the British Secret service and now it is time to find out who is the mole. 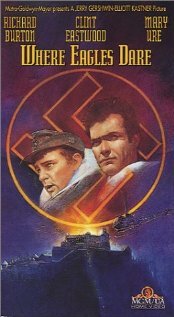 If you in the mood for spy film set in the Alps, this is the film for you. Many of recent Roman Polanksi film were masterpieces. The Pianist was breathtakingly good. 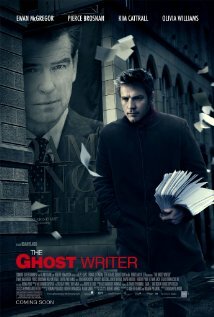 The Ghostwriter manages to create a special atmosphere. But the ending was a complete letdown. I understand why Polanksi is not very pleased with American authorities who have been trying to arrest him for over 30 years. (See my recent review). Anyone who follows the news realizes how incompetent the CIA was in assessing the economic situation in the Soviet Union before its downfall and the existence of weapons of mass destruction in Iraq. The ending attributes competence to the CIA that bears no resemblance to reality. A few years ago I had nothing good to say about Faith Akin’s 2007 film On the other Side. But Head On, which is only secondarily about the challenges of being born in Germany into a Turkish immigrant family, is a deep film. Primarily it is about self-destruction and the strangeness of love. Sibel and Cahit meet in mental hospital because both seem to have attempted suicide. After some time Sibel convinces the much older Cahit to marry her so she can leave her parents and gain freedom. For six months Sibel and Cahit live without physical intimacy but then the fall in love and real trouble begins. The film becomes quite heavy but it is poetic despite the violence that accompanies the love between two multifaceted characters. What makes the film interesting is that it always takes unexpected turns. 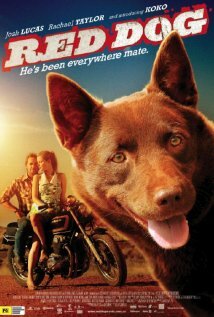 If you don’t understand many peoples’ love for dogs, this film explains dogs can be humans’ being best friend. Based somewhat on a true story, this comedy takes you on a tour of Western Australia. Even if you don’t care much about the canine species, Red Dog is a very special dog and he will soften your heart and make you appreciate why some people cannot think living without a canine friend. Many of the comedies staring Reese Witherspoone are quite fun.This Means War, however, is painful to watch. Reese plays a marketing manager who has fallen on romantic dry land. A friend put her profile on dating site. So far so good as hook. But then it becomes painful. Two guys who are working as James Bond’s at the CIA start dating and competing for her. In the process they are using to resources of the CIA on each other’s dates. This is a comedy that is laim. Recently a friend watched a film that I had seen before. I did not see it but only heard the dialogue through the speakers in an adjacent room. It quickly became obvious that without the pictures films don’t work. The Artist, however, shows that even decades after sound movies (talkies) displaced silent films, it is possible to make a silent movie. Moving pictures itself works. 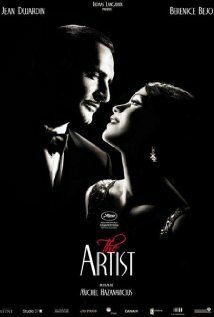 The Artist is a wonderful piece of art set in Hollywood just ask the talkies are luring movie goers away from the silent films. A big star of the silent movies meets a young nobody who has charms that his rich wife is missing. And now the drama starts. Mark Zuckerberg allegedly is spending is honey moon in Rome right now. 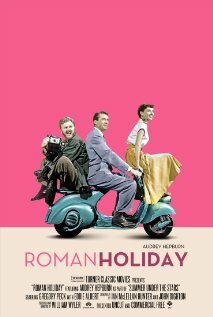 If you are thinking you can can follow in his footsteps by watching Roman Holiday, you will be disappointed. The film did not age well. Our eyes need more than a princess who wants to break out her cage for a day by strolling through Rome with a dashing newspaper man. The last 10 minutes of the film give it some redeeming quality. Andrey Hepburn probably won the Oscar for these ten minutes, in which her face does an amazing acting job.If you are in mood for a romantic comedy, watch Pretty Womaninstead. Breakfast at Tiffany has receive higher ratings than in my mind it deserved. 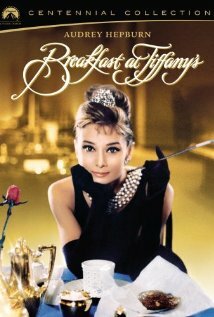 It is a love story with a cute cat and an always beautiful-to-watch Audrey Hepburn. But that is about it. Watch the wonderful My Fair Lady if you want to see Hepburn and experience a much deeper story. My Review of My Fair Lady.